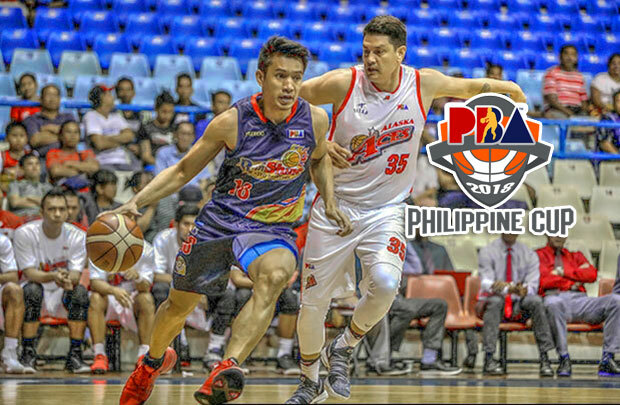 The Alaska Aces is scheduled for a head-to-head game against the Rain or Shine Elasto Painters at 7:00 P.M. on February 23, 2018 live from the Smart Araneta Coliseum. The Elasto Painters are looking to extend their winning streak into four and maintain their winning momentum while the Aces wanted to stop their two-game losing skid. While majority of the teams only have one or no more games left in their schedule, Rain or Shine still have three more. With their current standing at 5-3, RoS chances to end as one of the top two teams is very bright. However, their next three assignments looks very daunting as Alaska Aces, San Miguel Beermen and Barangay Ginebra San Miguel will definitely throw all of their best as they do their respective final push going to the Quarterfinals round. Another good thing for the Elasto Painters is that they’re coming from a 12-day rest and this worries Alaska’s coach Alex Compton. “Rain or Shine is playing some of their best basketball right now and they have had almost two weeks to prepare for us. I am sure they are ready and we will have to defend their excellent offense and cover a lot of ground defensively if we want to win,” said Compton. Both teams will be missing key players as they have sent to join Gilas Pilipinas 2019 FIBA World Cup Asia Qualifiers campaign in Australia. Calvin Abueva and Carl Bryan Cruz won’t be available in tonight’s game while Rain or Shine won’t be having Gabe Norwood.